It's Friday, it's Friday, oh yeah, oh yeah it's Friday! Can you tell that I'm excited about it being Friday? It's been a pretty good week though, I can't complain! How have all of you been doing? I am so proud of these nails today, they turned out so much better than I thought they would! I never have time to do freehand art so this was really a treat! 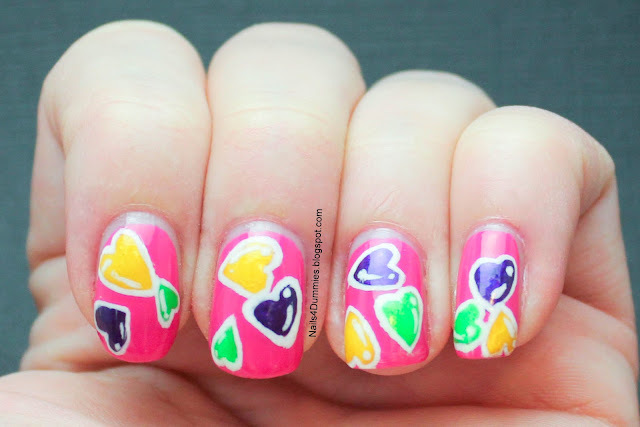 I've been seeing so many cute heart manicures going around and I was getting a little jealous! Of course, all those little pictorals that show you how "easy" it is to make a perfect heart are full of bunk! I made the two little dots and then used a brush to try to drag the polish down to a point to make the perfect heart and what I ended up with was not very heart-like! So I figured out my own best method. When I first did the hearts I wasn't too impressed with them but once I added the white highlights they really came to life! I also like the randomness of them. I really have an issue with randomness. I see all those awesome dotticures where the dots are randomly placed and they are so cute but every time I try to recreate it, it turns out a hot mess! I'm pretty sure that "random" is a skill all it's own and certainly one that I haven't mastered. The polishes used here are a base of 2 coats of China Glaze Hang Ten Toes. This is such an awesome pink, I'm really loving it! 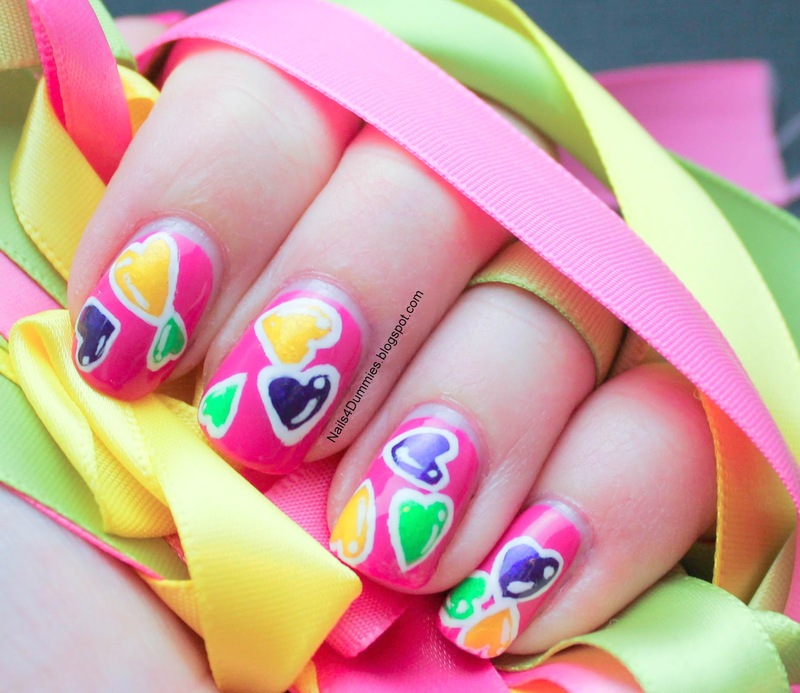 Then the hearts are made using Catrice - Twist of Lemon, Barry M - Indigo, China Glaze - I'm With The Lifegaurd and the highlights are done with NYC Long Wear - French Tip White.